With many of my friends now owning a SLR camera, it demanded for a day out, experimenting with our new gadget as life, light and lens blend into images. On a Sunday morning that was the 18th of December, I walked out of my house at around 5:45AM. It was a beautiful morning. Sush and Seb joined me and we walked to the K R market which much livelier than the rest of the city. Charan joined us too. Four of us with our cameras, raised a few eyebrows and people spoke of us as reporters and we would report illegal flower vendors who have no license etc. By some time everyone got comfortable and they wanted us to take their pictures. 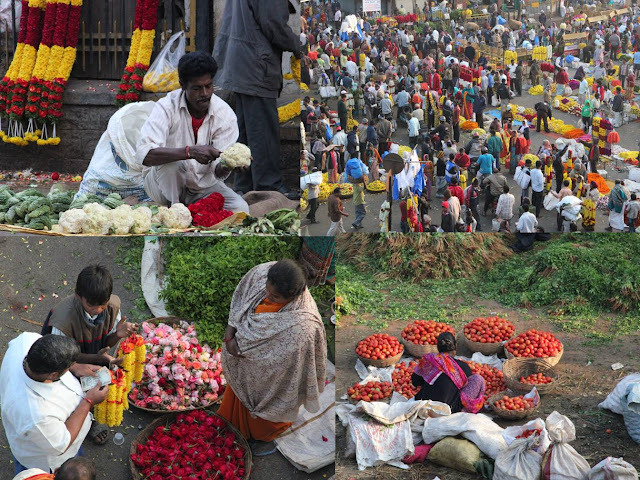 We got some great captures from up the flyover and also very close to the flower market. By 8 it got too noisy with buses and other vehicles and we wanted to run away from the chaos. Not sure why my blog roll was not showing your latest updates!! UGH- not only yours but a few others- so Now I have to manually check for new updates. Hopefully the refresh I just did will set it right- GREAT post for the new year- what GREAT pictures- so vibrant. Looking forward to another year of great posts. Rich colours! Wonderful pictures, Ajeya. Anupam - Sure. will send you some of these by email. Rakesh - Thanks. Wish you the same. Hope to read more inspiring articles from you this year too. Love the pics. its brilliant. 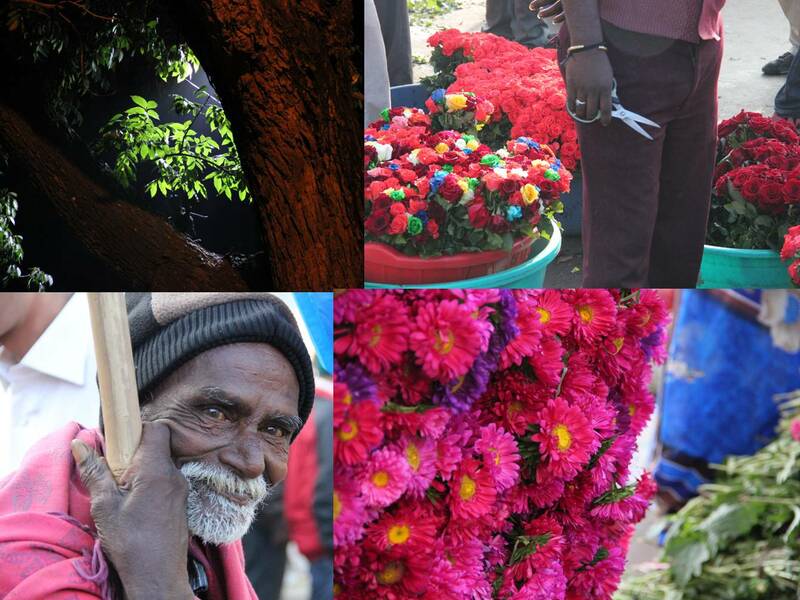 Awesome photographs Ajeya. I remebember Sush commenting "you graduated" after seeing one of your photograph. Amazing! 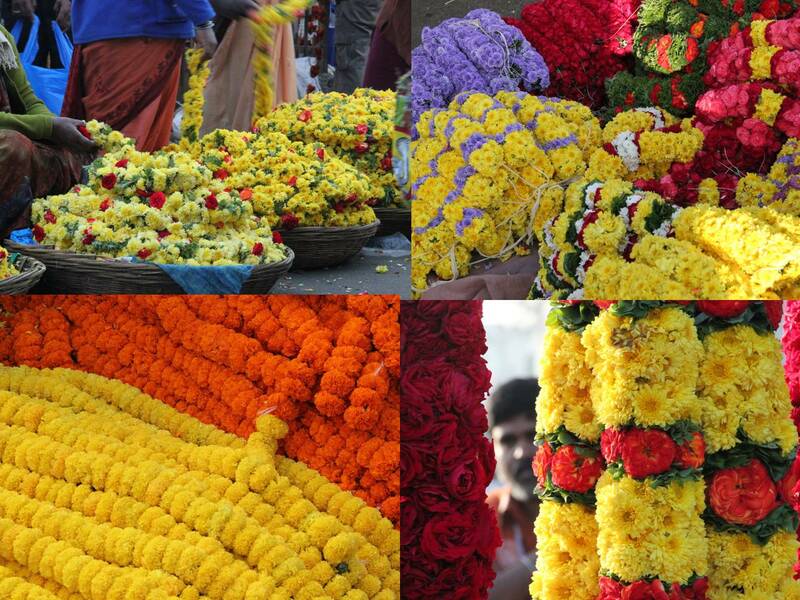 I think Asam and Meghalaya are two cities are very famous for flowers. I never seen like this fresh flowers in market. by the way, in my house has Mogra plant. and I am seen Mogra at early morning only in summer. 5 Star hotel - THis pic was taken in Bangalore KR market and Not Assam.